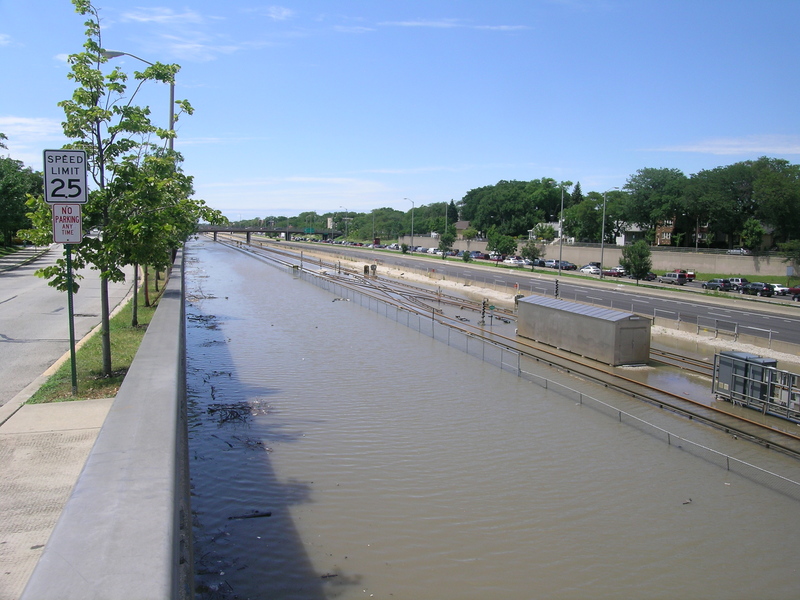 8″ of rain in about 12 hours in Chicago leads to some pretty awful messes. Flooded streets, basements, roads. But, I had never seen anything like this. 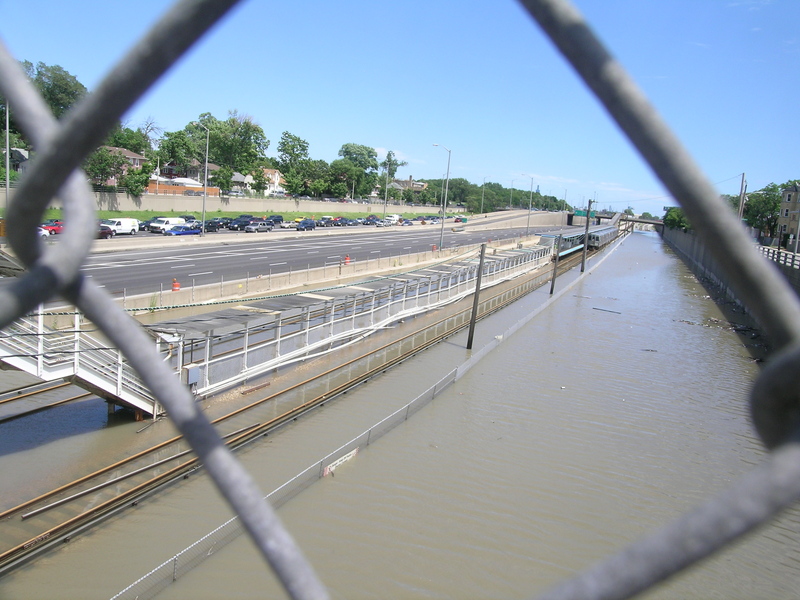 The 290 freeway is just a couple of blocks north of our house, and it is bordered by the CTA (commuter trains) and a commercial rail line to the south. All were shut down for almost a day. This is not normally a canal. So, I got no knitting done, as we also spent all Saturday from midnight to 10am trying ot keep the water from overtaking our basement. Time for a sump pump. While we lost nothing, I now need to rearrange some things. If we had not been at home, this could have been much worse. Most importantly, all of my rare hardcover knitting books, including Alice Starmore, are down there, only few inches above the floor level. Time to move them to higher ground.